Today we announced our intention to create the finest and most comprehensive collection of U.S. Military records available on the internet and changed the name of the site from Footnote to Fold3. This announcement isn’t a complete change from what we’ve been doing. Some of our best and most popular work has been on military titles like the Revolutionary War Pension files, the Civil War Service Records and “Widows’ Pensions,” WWII Missing Air Crew Reports and the Interactive Vietnam Veterans Memorial Wall. This new focus will direct our content plans and allow us to organize the site around military records. In the future we’ll make other changes that will help us build the best online source for records related to the U.S. military, the men and women who have served and the families who support them. One change that won’t impact how things work, but is significant and will probably get a lot of attention, is the site’s new name. Footnote has been a great name, but it doesn’t relate to military records and can carry a connotation of insignificance which doesn’t seem appropriate for a site focused on records related to the great sacrifices associated with military service. We wanted a name that would show respect for the records we are working on and for the people who have served in the armed forces. The name Fold3 comes from a traditional flag-folding ceremony in which the third fold is made in honor and remembrance of veterans for their sacrifice in defending their country and promoting peace in the world. We are excited for this new focus and name because it will help us continue to improve the site and bring you records that will help in your research. If you have any questions, feedback or suggestions, please let us know. Many of the questions so far have been about what will happen to all the non-military content on the site. Sorry for any confusion we caused on that. We don’t plan to remove any non-military content from the site with the exception of some third-party newspaper content that may be removed at the owners’ discretion. The city directories, naturalizations, vital records, Native American records and other non-military content that we have created for the site will be available on Fold3. You can still find them through search, on the records list page, and in browse under the new “Other Records” category. There have also been some questions about content moving back and forth between Ancestry and Fold3. We do plan to bring copies of some of Ancestry’s military records over to Fold3 (the World War II “Old Man’s Draft” Cards we are currently adding to the site are an example) and Ancestry may get copies of some Fold3 titles that make sense for their users, but when this happens, the records would be copied, not moved, Fold3 content added to Ancestry will still be available on Fold3 and vice versa. Thank you for all your comments. We appreciate your passion and support for Footnote. We hope as the dust of this change settles, you’ll find that the site feels familiar and that the most important parts of Footnote are still part of Fold3. We have had several people mention they have not been able to access the fold3 site. We have narrowed it down to people using Internet Explorer 8 or 7. While we work to find the solution use one of these options to get to Fold3. 1) Some people have found success by deleting their cookies, here’re instructions. 2) For others they have switched to a different browser and that has worked also. Install Google Chrome browser. We just rolled a fix. Please let us know if you still have issues accessing Fold3. A big thanks to member SePennartz for helping solve this issue. I haven’t used the search feature since I only saw the new format today. But I applaud your focus on military records. I also know that you will work tirelessly to get any glitches out so that the searches will go logically and smoothly. Best of luck with this new and well deserved effort on behalf of those who stepped up to serve and protect us. I have to give ancestry and fold3 credit where credit is due. Peter Drinkwater responded in a timely fashion to my frustration with trying to search by name for the old footnote content on the new fold3. It was a very simple fix. Use the Browse button. There the records are so if you are not happy with the “new look” simply got to Browse to get to the “old look.” Works for me! Thanks! I hope to find my gggranparents parents names and where i n norway they came from. Nels gunderson opsahl 1839 to march1915, ingaborg brua 12/20/1850 to 4/12/1920. Who is the man pictured in your new Fold 3 blog title page (the top of this page) along with George Washington, Grant and Eisenhower?? Looks like John J. Pershing to me. Margaret is correct! John J Pershing lead the American Expeditionary Forces in World War I and mentored many of the generals who directed American efforts in World War II. He and George Washington are the only two people to achieve the rank of General of the Armies–the highest rank ever held in the US Army. My grandfather, Alfred J. B. Booth, was Pershing’s aid and wrote many of his speeches. He had the highest regard for Pershing,who attended his funeral. It was through Pershing’s office that The Stars and Stripes was first published. While I applaud your focus on military records (as a former Army Sgt.) I am extremely dissatisfied with the new name of “fold3”. Not only is it totally obscure (after six years’ military service I’d never heard that expression), but it makes it sound like you sell manilla folders or something. Beside my military career, I am now an academic historian/biographer who often uses your site for historical records (especially the city directories). “Footnote.com” was a PERFECT name for an academic citation in footnotes. “Fold3” now sounds like some mickey-mouse website with no academic validity to it whatsoever. Why not “Militaryrecords.com” or “USmilitaryrecords.com” or something else that’s not only completely obvious but academically sound? Have to agree with Sgt. O’Donovan about the new name. Fold3 is a VERY obscure reference and I think it will hurt your recruiting of new members. This thing happens when people who are too enmeshed in their esoteric field forget that regular people – computer programmers, plumbers, cashiers, etc. – need to be able to quickly understand what you’re all about or they’ll just move on. I agree . . . Fold3 means nothing to most people searching for military records. Sgt. York parade through the city. Mom was born in 1910 lived in Cotton Town im guessing 10-12 miles. He held her on his shoulders so she could see. I loved the Sgt. York movie, his ol mammy was precious. Glad to see this happen. I am certainly going to take advantage of your content from now on. My genealogy is cramed full of military but the information is so spread out it’s usually last on my list of things to do. Your new program should save lots of research time. Kudo’s! I agree with Sgt. O’Donovan…Fold3 doesn’t begin to describe your content. Military Hero’s should have a bit more respect in their name. Don’t think a guy would pick Fold3. I agree, too. “Fold3” – sounds like an Origami site. “Footnote” was perfect and NOT insignificant at all – footnotes are where all the valuable information is found, where the action is! trying to find information on Charles Lemon and Agnes Hannah Hamilton. daughter Helen Gourley Lemon when and where did she die? I noticed just hours ago that all the images (naturalization, census, draft cards) that had links on Familysearch, the LDS site, have all disappeared. This was a major source of genealogy info for me, & I always said when I am able to upgrade, I would do it with Footnote rather than Ancestry, because Footnote posts the actual documents. I hope you will reconsider the name change. Fold3 is a horrendous name, & no one will remember it. I keep wanting to call it Flag3. I believe the changes will make you LOSE subscribers & potential subscribers, not gain them. All of us have military-famuily ties to the past. The key ks finding the correct and easiest way of accessing this info-data? This really looks like a good start and I hope it takes off and does it’s supposed to do, bring the past to the present. All the links should still work. There must be a bug either on our side or FamilySearch’s. If you can give us a few more details about where you are, what you are trying to do and what’s happening, we should be able to figure it out. Where is my subscription? I confirmed that my credit card was changed for a renewal of Footnotes in June. Where is my account? … While I can understand and appreciate your efforts to specialize, I’m really sad to see footnote go. I was really excited about the indexing you were doing with the familysearch records, and I’d already found a number of records I wouldn’t have found with familysearch’s limited search functionality. Sadly, the military records are of very little use to me, so I’ll be parting along with the footnote domain. Will this format allow access to WWI and WWII armed forces various ‘Nurse Corp’ records-theater of war served, time of enlistment, muster rolls, discharge information, rank, pensions, ? I was not able find this info using footnote by typing in an enlisted person name. Perhaps I was inept; however, I found similar info for army and marine entries. We’ll be looking for all the interesting military content we can find and digitizing it as quickly as we can. If you have suggestions for specific content you’d like to see added to Fold3, please let us know. You can use the “contact us” page to send your suggestions to our content folks. money from peoples memory to opt out and possibly forget to opt out and get charged for other than the trial period. I cannot find were it says the cost of your membership, please let me know. We offer an Annual Membership for $79.95 or a Monthly Membership for $11.95. Go to http://www.fold3.com/choose-a-plan.php for additional details. I agree — the name change is a disappointment. I am also NOT impressed with . the duplication with Ancestry. It is difficult enough to keep from duplicating sources and this doesn’t help. But, I would hope that you would do much more work on the WWI records that remain, with either NARA/NPRC or individual military units/libraries that hold records. You could provide a real service in this area; copies of what draft registrations remain don’t give you information about actual service. I subscribed during the transfer of material.. Had I REalized what you were doing I never would have done that. It is not what i was looking for and have no desire to even look at that information. will ever be done so I would like to “un-subscribe”. I also agree the name change is ridiculous. I think that Fold3 is a fine name; short & you explained about folding the flag after burial to give to family. I am courious now if the Spanish-American War is your Mexican War as I was told that to get those records one had to go to the State that the individual lived in to get the record. I believe that most people who have lived in USA for long time had relatives in most wars–I do from Revolutionary War to (and including) present. We are not War Hawks, only patriots as we know that our Freedom was won by our Ancestors of whom we are proud & thankful. Thank you for your question, Theda, and for liking our new name! The Spanish-American War was fought between Spain and the U.S. in 1898. The Mexican War was between Mexico and the U.S. in 1846-1848. You can find some Spanish-American War records within the Civil War and Later Veterans Pension index on Fold3. Also, some members have uploaded records and photos to Memorial Pages relating to people in this war. They may be worth checking out by searching on “Spanish-American” as a keyword. Thank you for your comment. Please Contact the Fold3 Support Team so they can review your specific account details and options. I hate not being able to see the actual records! Transcribers make mistakes! I want to see the home addresses for my soldiers etc. I am fed up with Ancestry.com and will probably soon cancel my subscription. my dad was in the Korean war,any chance on getting troop pictures from that war,also he enlisted in Puerto Rico,and from what i know they had the largest number of casualties,in this war any chance of finding more information on the Korean war spanish soldiers. Is your father a Edelman exec?? Thank you, Mari, for your Korean War content suggestions. We are currently exploring different possibilities of what to add for Korean War records to the Fold3 site. We will consider your suggestions as part of our strategy. Fold3 is a peculiar name/change and seems to need too much of an explanation for an already recognized “brand”. There were several things to like about Footnote, which appear to be dwindling with acquisition by ancestry. Any chance to reconsider the name change? Narrowing focus to military records and abandoning other aspects of digitization will likely shoo away a good number of current and prospective members. Had I known about the changes before recent membership renewal I would likely have reconsidered. Sorry to see footnote go. If any one has a info on,Betty Rore Vanny, is my Grandma Born 1888, I don`t no were she die, any info of her mother or Grandma ,name She told me I had Cherokee Blood in me ,witch makes me so Happy I can`t stand it.I Love the cherokee People, I Thank any one that can Help me.Jerry Saultz. fold 3, being from the UK, means absolutely nothing to me. I am researching USAAF airmen who served in the UK and many of them are still living. is it fair to remember these men with a symbol that represents the death of a man? I too am a veteran of 23 years US Army service and have never heard the term “fold” except as in the statement – “He folded for the night.” Or, as in poker, “I fold” (give up the hand). 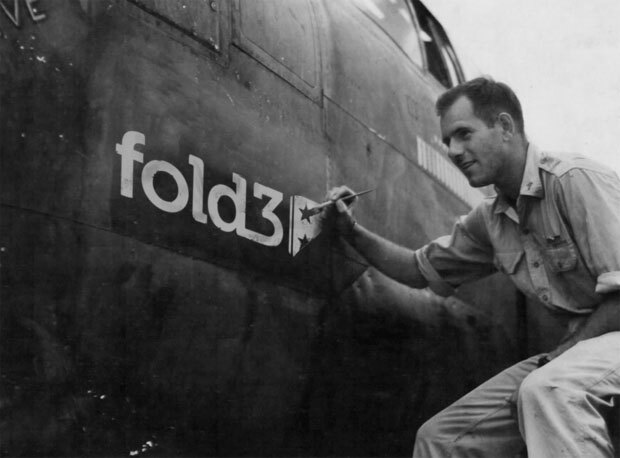 I agree with many that “Fold3” is obscure and from a military standpoint – not at all in the common vocabulary. You have taken a perfectly good and universally known name among family genealogists and made it disappear. Too bad. I don’t understand the change to concentrate on military history or the need to rename the site. I’ve used Footnote as a major genealogy reference and repository since its beginning. My father is a veteran as are my two brothers and myself. Military history and genealogy-related documents are an important part of of the overall genealogy project and I would have hoped that Footnote would maintain that focus. I do not plan on renewing my subscription. I am searching for any historry of the Battle of Somerville ( New Jersey). There must be info mentioning a man i believe to be my ancestor, Jonathan Crane. Anything found in archives regarding this person would be appreciated. He was killed by a Hessian General, I believe, because Crane was suspected of being a spy. I liked the name change, but it did take an explanation for the term before I could. Can understand the ‘too obscure’ comments. Maybe adding a little more to the name would help. Anyone not being appreciative of the new focus is not being realistic. Any family who has multiple USA generations is going to have ancestors with military service. Not using their records for research is missing out on a great resource.